X Box entrance. 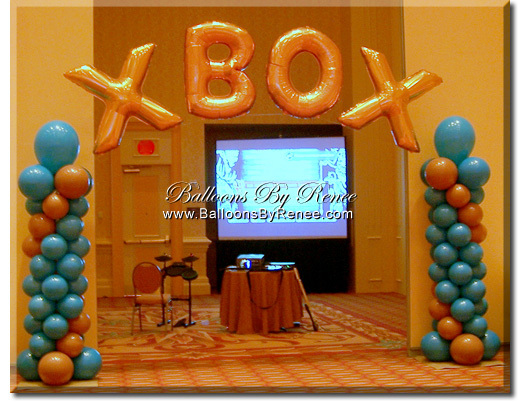 Swirled latex balloon columns with letters. Gaylord Palms Convention Center.